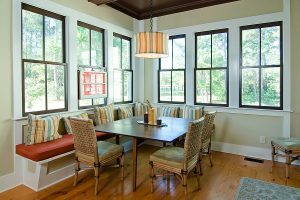 Majors Home Improvement has been installing vinyl replacement windows for homeowners in the Pensacola, Florida, area since 1997. In that time, we’ve earned an A+ rating with the Better Business Bureau and a five-star rating with GuildQuality due to our commitment to consistently going above and beyond for our customers. When you partner with Majors for new windows, you can count on individualized service, respectful installers, and top-quality windows that last for decades. Begin every project with a free design consultation at your home, during which we’ll talk to you about our window installation process and help you select the perfect style and design elements for your windows. This consultation concludes with a free, no-obligation estimate. Encourage our customers to seek out quotes from other window installers in the area. We believe we offer the best value, bar none, and are confident that you won’t find a better price for what we offer. Adhere to the industry standard when it comes to installing our windows. Our factory-trained and -certified craftsmen work efficiently yet precisely when installing our windows to ensure they are put in correctly the first time around. What’s more, at Majors, we’re pleased to offer a double lifetime warranty for our windows that covers the materials and workmanship for your ultimate peace of mind. If you’d like to schedule a consultation for vinyl replacement windows, contact Majors Home Improvement today. We’re proud to serve homeowners in Pensacola, FL, and all surrounding communities.